1. How do hire a fitness consultant/ personal trainer at Defineit? 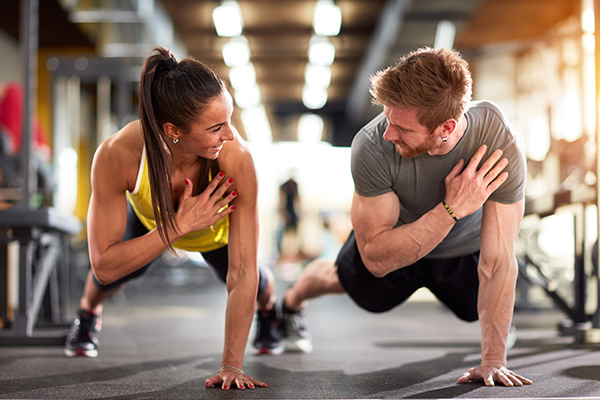 It’s easy to find fitness professional to work with at DefineIt. Just fill out the contact form, text or call us at 650-888-4064. There are no high-pressure sales from us; we only work with clients who want to make lifestyle changes. Once we receive your request we will contact to meet with a professional best suited for your needs. 2. What is the investment for a personal fitness trainer? range from $75 to $110 per session (50 minutes). There are also half hour sessions starting at $50 per session. 3. What happens during my training session? strength training, flexibility and cardio vascular training. You will see changes right away in these areas with two sessions per week. 4. How often do I need to meet with my fitness trainer? The amount of sessions will be determined by your fitness goals. Most clients train two to three times per week to get the best results. an efficient program that gets results. 5. Do you offer nutritional guidance and weight loss plans with your programs? Yes. If you are interested in loosing weight with your program, we provide nutritional guidance that is easy to understand and follow. The program is designed to meet your lifestyle. Our programs have been successful with all clients who follow the plans consistently. 6. I want to ask questions about your programs, but don’t want continued sales calls or to sign up yet. Don’t worry, if you are not interested in our programs…. we move on. There is no need for us to pressure anyone into anything. Our schedules are full, so we only wok with clients who want to make a change. 7. Is DefineIt open to everyone for services and fitness training? comparing your fitness level during your session. We are not a gym. © 2016 DefineIt Personal Training Studio.